2 IAF pilots injured after F-16 shot down Saturday. One pilot in serious but stable condition, second lightly injured, doctors say. Rambam Medical Center Director Professor Rafael Beyar on Saturday reported an improvement in the condition of the two IAF pilots whose F-16I "Sufa" fighter jet was shot down by Syrian surface-to-air missiles Saturday afternoon. The pilots ejected from their plane after it was hit. "The condition of the pilot who was seriously injured has stabilized, and there has been an improvement," Beyar said. "We are optimistic." "The pilot who was lightly injured will probably be released tomorrow." An IDF spokesperson said the missiles were fired after the plane attacked Iranian targets in retaliation for an Iranian drone which penetrated Israeli airspace overnight. The drone did not cause any injuries or damage, but roads leading to the area were closed off. An IAF aircraft downed the Iranian drone, which entered Israeli airspace from Syria. Air raid sirens sounded in the Golan Heights and the Beit She'an Valley after Syrian anti-aircraft missiles were fired. 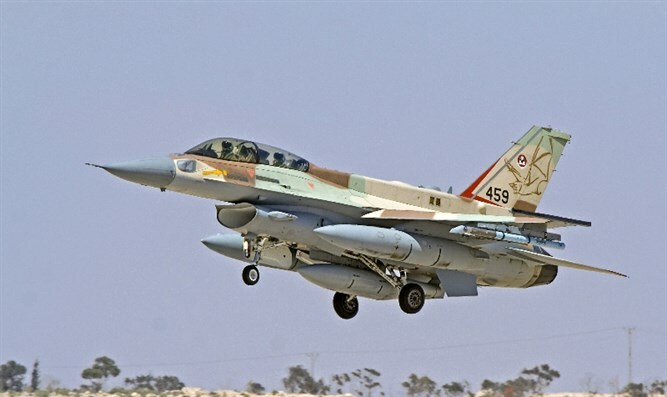 The IDF emphasized that the Iranian aircraft were identified by the IDF's air defense systems early on, and were tracked until they were shot down. The IDF also said that they attacked Iranian targets in Syria as a response to recent events. In a statement, the IDF said, "The IDF sees the Iranian attack and Syrian response as a severe and unusual breach of Israeli sovereignty. The IDF is closely following [events] and is fully ready to continue operating according to decisions and what is necessary."